The pub quiz at The Bell on Saturday 06-Apl-19 was a succesful event and much enjoyed by the 52 participants. The winning team was called Flexit and comprised Diane & Rowland Bratt, Diane’s sister, Sally & Martin Taylor, Catherine Drake and Gareth Jones. There was a second team with the same score but they lost out on a tie-break. There was the usual raffle and the evening was a financial success as well as a most enjoyable one. Thanks to David & Aline Griffiths for their energy and enthusism in devising the quiz and running the evening. Also to Chris and Sandra Shallis for hosting the event at The Bell. 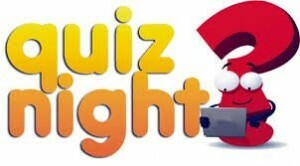 The Focal Pub Quiz on 29 April was an enjoyable and successful evening. Thanks to David & Aline Griffiths for organising the event and running the quiz and to Chris and Sandra Shallis for providing space at The Bell and serving food. Forty-six people took part, making up eleven teams of various sizes ranging from two to seven. The winning team were The Invincibles, comprising six members. They were Sir Martin & Lady Evelyn Jacomb with Tim & Caroline Jones and two friends. They scored 147 points. Second were The Bar Flies, comprising Chris Shallis and Steven Cox. They scored 129 points. Third were The Sherlockeans on 127 points, comprising the Holmes family. The booby prize went to Universally Challenged with 70 points. Focal raised £435 with very modest expenses of £43, making an excellent contribution to our fund raising target. Thanks to everyone who supported this event and to David and Aline for giving everyone a most enjoyable evening. They are looking forward to the next one in November.